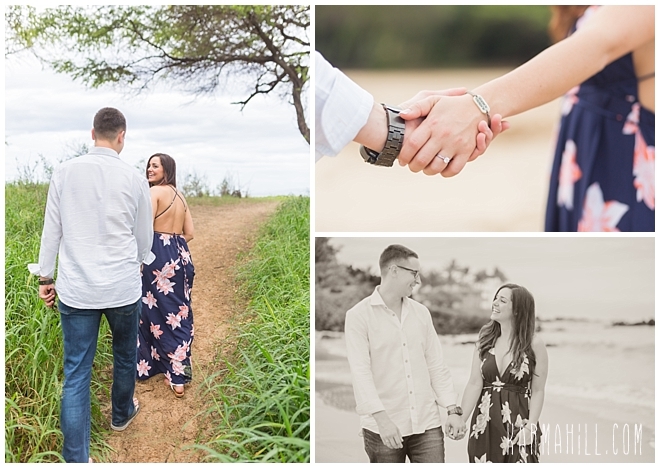 Further confirming why she loves him, Vanessa was thrilled with Nathan when he planned a surprise engagement photo session for them. 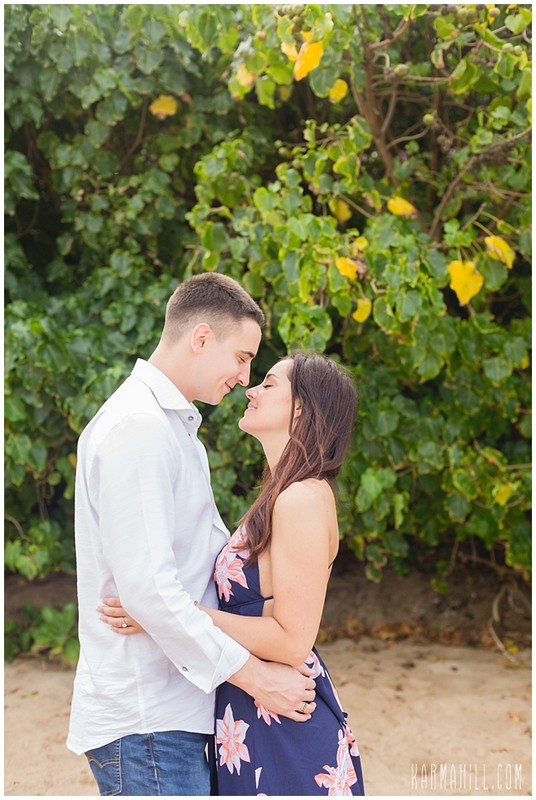 Visiting from Virginia, the gorgeous pair will surely make a breathtaking bride and groom when the time is right. 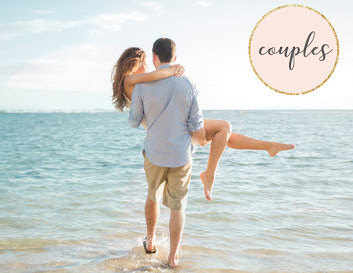 In the mean time, they are reveling in the romance that surrounds this time in their lives. 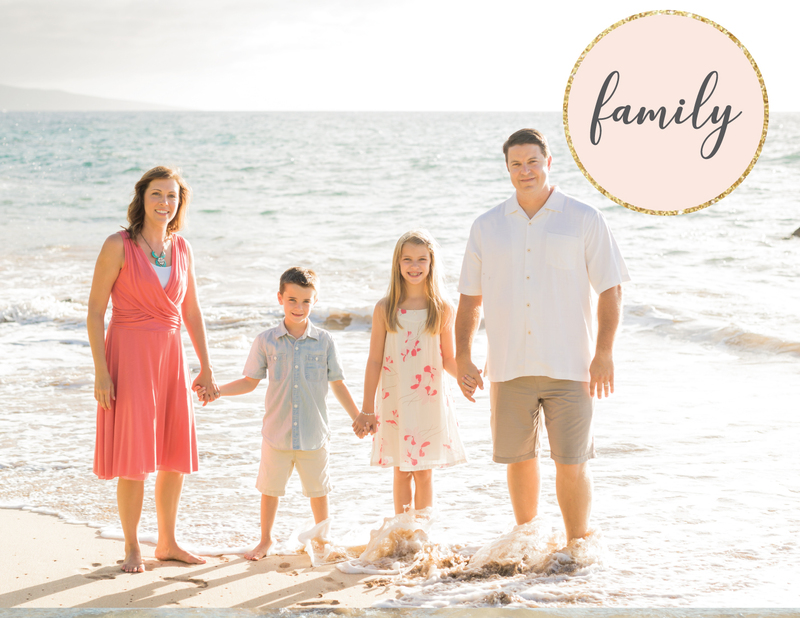 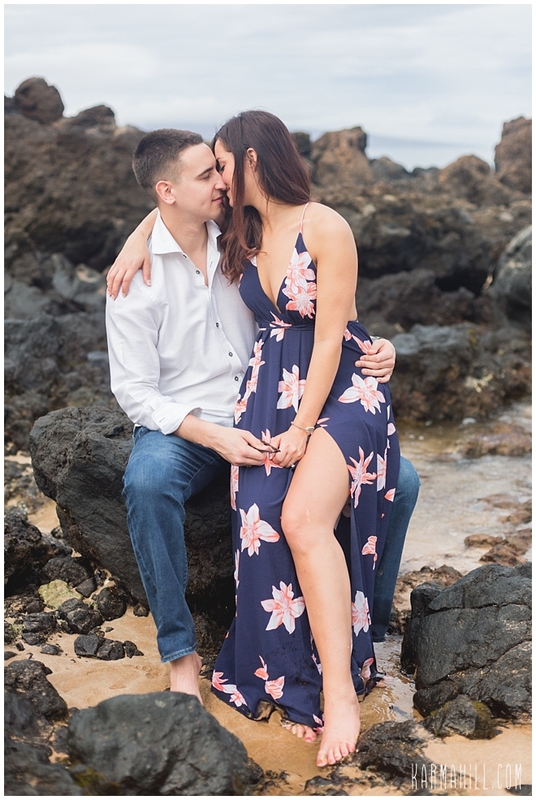 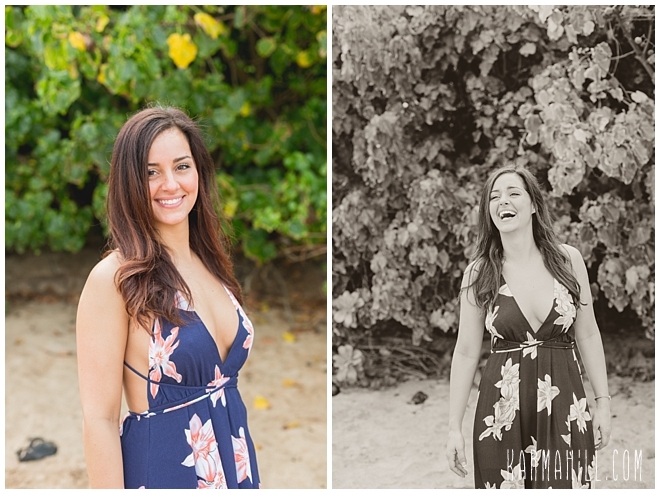 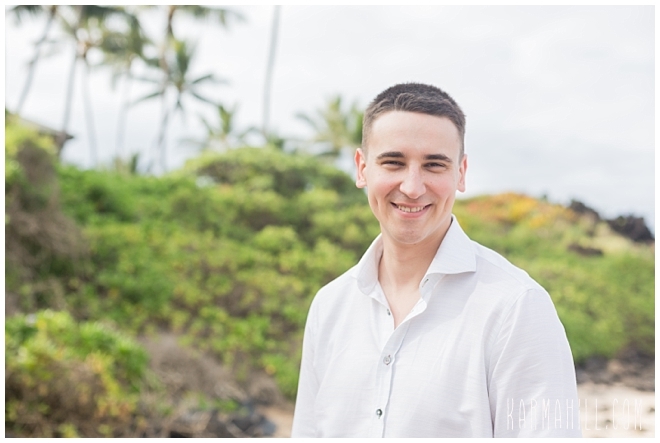 Honored to capture their Maui Couples Portraits, we loved getting to witness the sweet touches, darling kisses, and endearing looks flowing from and between the two. 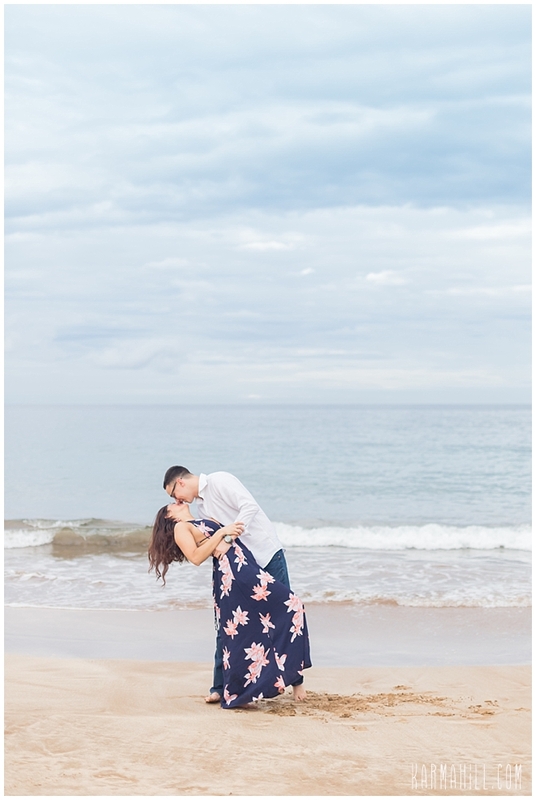 There was obviously no shortage of love between the perfect pair which bodes well for the adventures ahead in their life together as husband and wife. 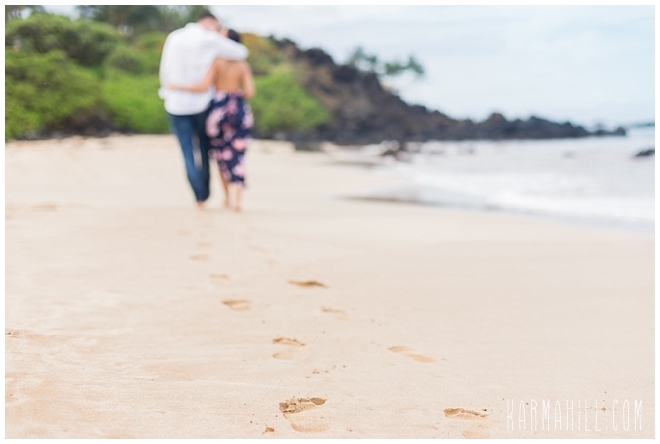 Thank you, Nathan and Vanessa, for allowing Karma Hill Photography to be a part of commemorating this magical moment. 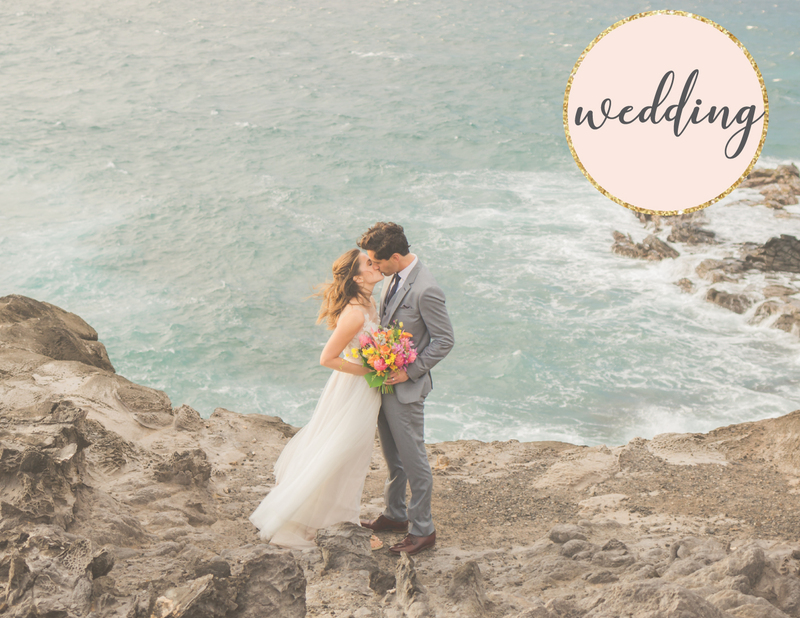 We wish you all the best for a beautiful wedding and an even more beautiful life together. 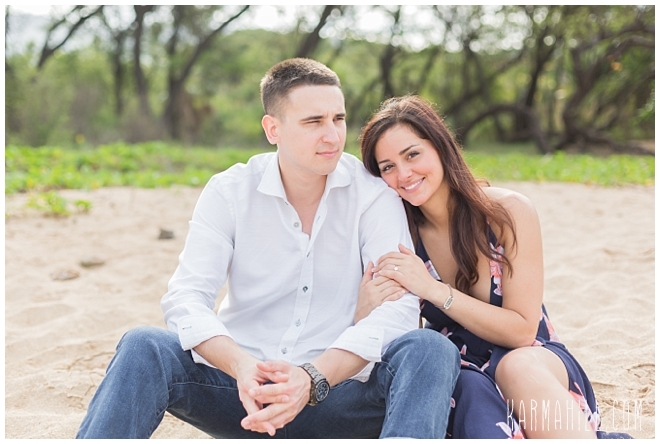 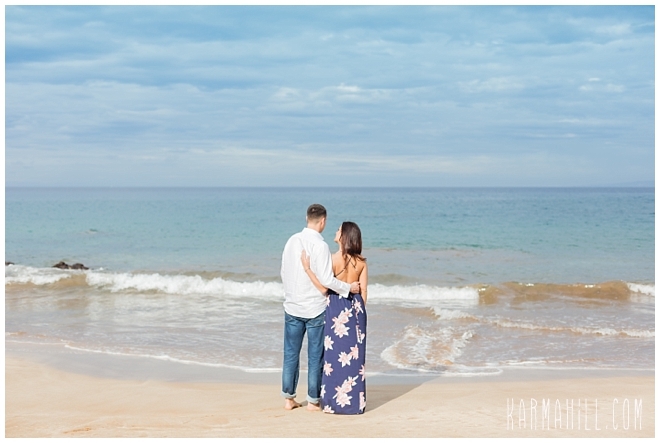 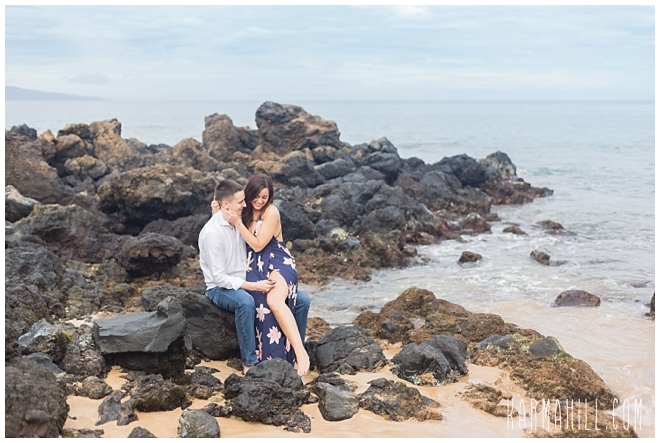 Check out our last Maui couples portrait with Darren & Lindsay!